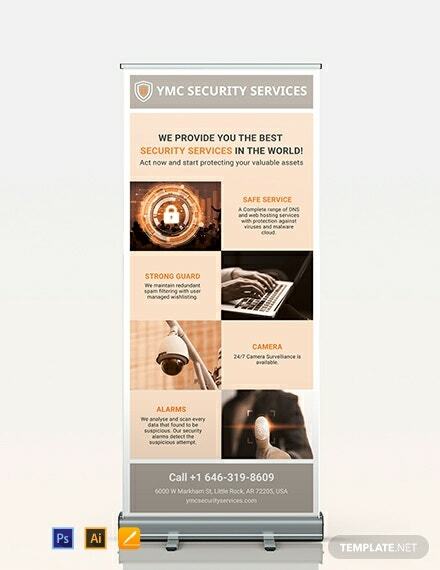 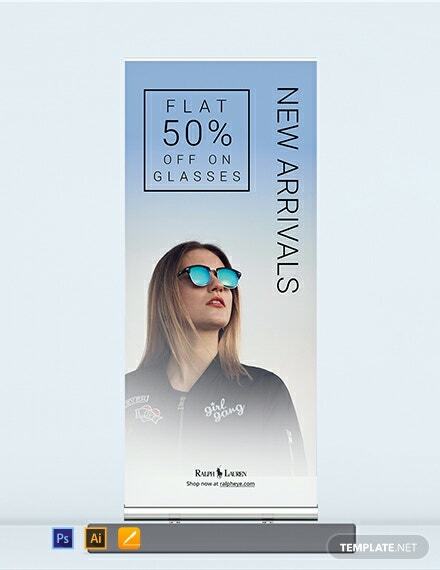 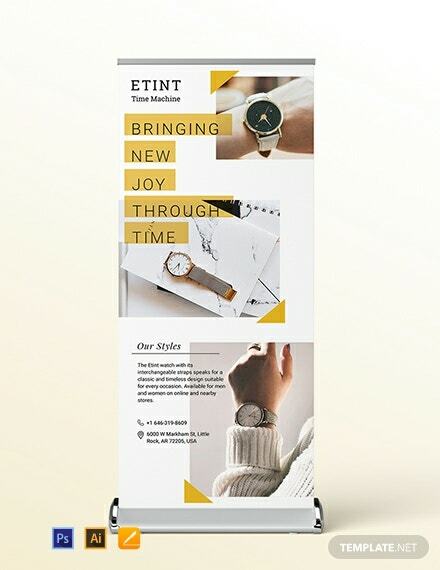 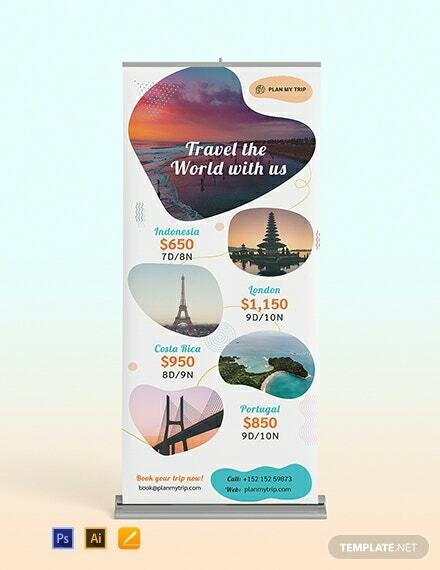 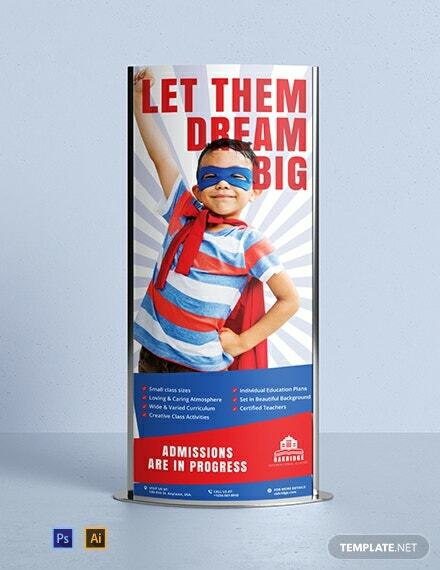 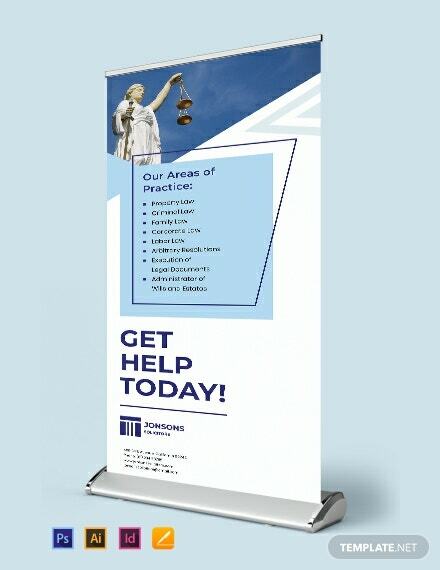 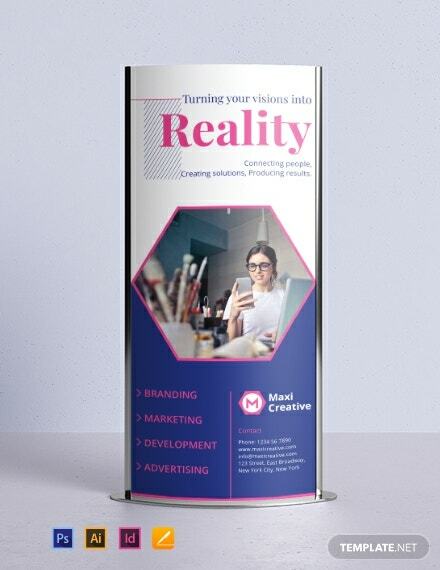 Get this professionally designed roll up banner template to promote your product. 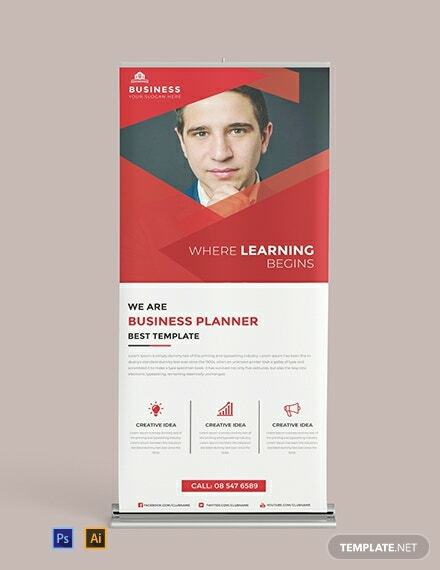 This is easy to edit and customize with Photoshop to suit your preferences. 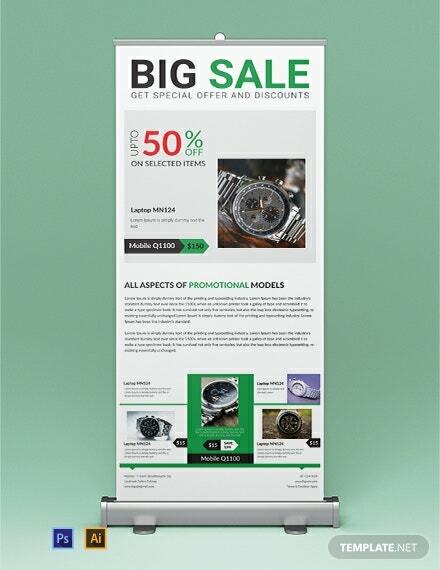 Inform your customers of your new products and +More discounts.